My 17 yr old loved Barney when she was small. 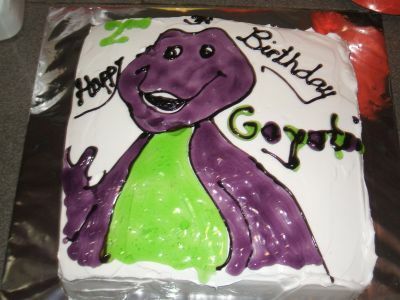 You did a very nice job on that cake!!!!!!!! !